Dogs love to be outside, especially when playtime’s involved! But January and February can be really cold. So, going out for walks can mean taking extra special care to make sure your dog stays safe and happy. There are however lots of things you can do to help them during the colder months of the year. Preparing your dog for cold weather is a good idea as it can help prevent problems from developing. Trim their nails – of course, trimming your dog’s claws regularly should be part of their usual routine. However, this can help them during the colder months, particularly if it’s icy outside. Having shorter nails will give them better traction, so that they’re more likely to stay upright and steady themselves on slippery ground. 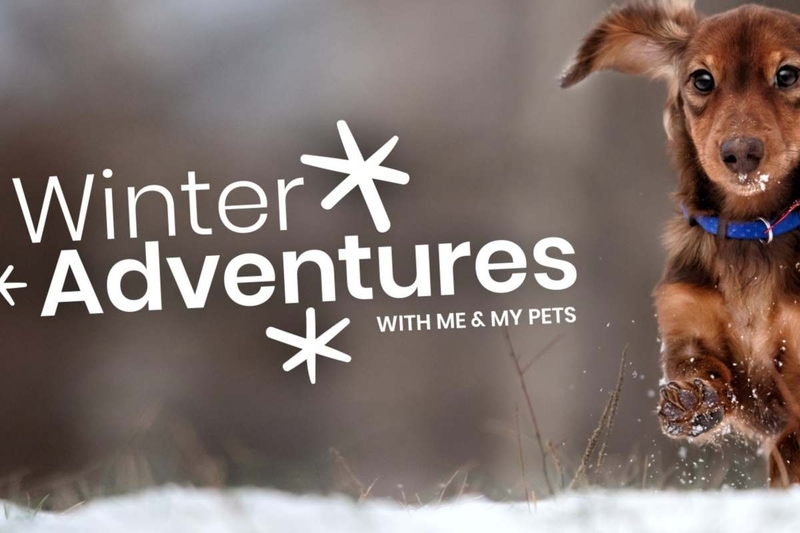 Prepare their paws – to avoid things like ice or grit getting in-between their toes or hurting their paws, it’s a good idea to invest in some doggie shoes. If you don’t want to do this or it’s affecting the way they walk, you can use a small amount of petroleum jelly instead. Just remember to wipe it off before heading back indoors! Help keep them visible – winter can bring conditions such as fog, as well as a reduced amount of daylight. This can make it difficult for runners, drivers and cyclists to see your dog.Help them to stay visible using an LED Light Dog Lead which is perfect for this time of year. Keep them warm – depending on your dog’s breed, you might want to invest in a suitable coat for them. But it’s also important to help them stay warm while they’re not walking, especially in the car. 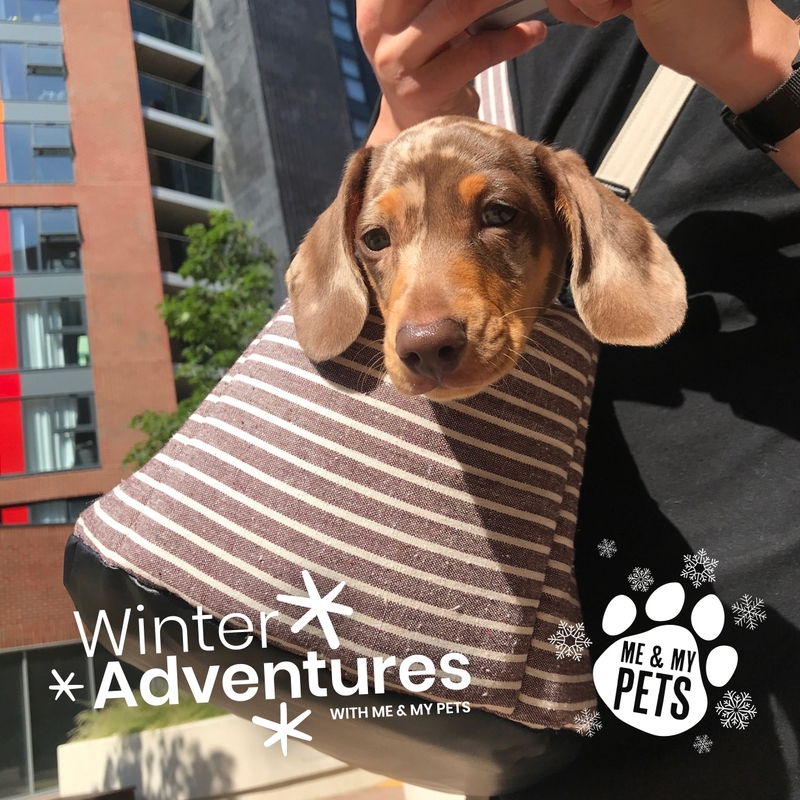 Investing in a Dog Carrier or if they’re a bit larger, a snuggly Dog Blanket, is a great way to help keep them warm while out in the car or if you’re in the city. Look after yourself – it's just as important that you make sure you’re looked after as well as your dog. Wrap up warm before you head out and don’t force yourselves out if you’re really feeling the cold. Often a 10 to 15-minute walk is more than enough when the weather is really biting. Also, if it’s icy outside, make sure your dog doesn’t end up pulling you over! If your usual walk goes near water, make sure that your dog isn’t tempted to go splashing around when it’s freezing cold. Make sure you keep them on their lead at all times so that you can help to keep them safe. As mentioned above, walks may be shorter during the winter time so don’t force yourselves out for too long. And if your dog is a smaller breed, make sure you’re ready to wrap them back up again once the walk is over. Often, winter in Britain means it’s going to be wetter and windier. If this is the case, make sure you keep your car seats dry and free of muddy paw prints by using a Rear Car Seat Protector. You might also want to have lots of clean, dry towels at the ready! It’s important to remember that dogs shouldn't be left in cars – whatever the season – not just in summer. Cars can get really cold during the winter so make sure trips out are well-timed and that you keep an eye on your dog. While outside with your dog, keep a close eye on them to make sure they’re not getting too cold. If your dog is trembling or shivering, wrap them up warm and go back home again. When you arrive home, check your dog’s paws thoroughly to ensure that there’s no ice, snow or grit in-between their toes. If snow compacts, it can turn into ice balls and this can be very painful. It’s also important to dry your dog off once they’ve come in from their walk. This will really help them warm back up again – as well as protect your sofas from muddy dog prints! If you need to cut your dog walk short because of the terrible weather, help them burn off that last bit of energy by playing some indoor games. A game of tug-of-war for example, using a Rope Toy, is perfect for doing this. 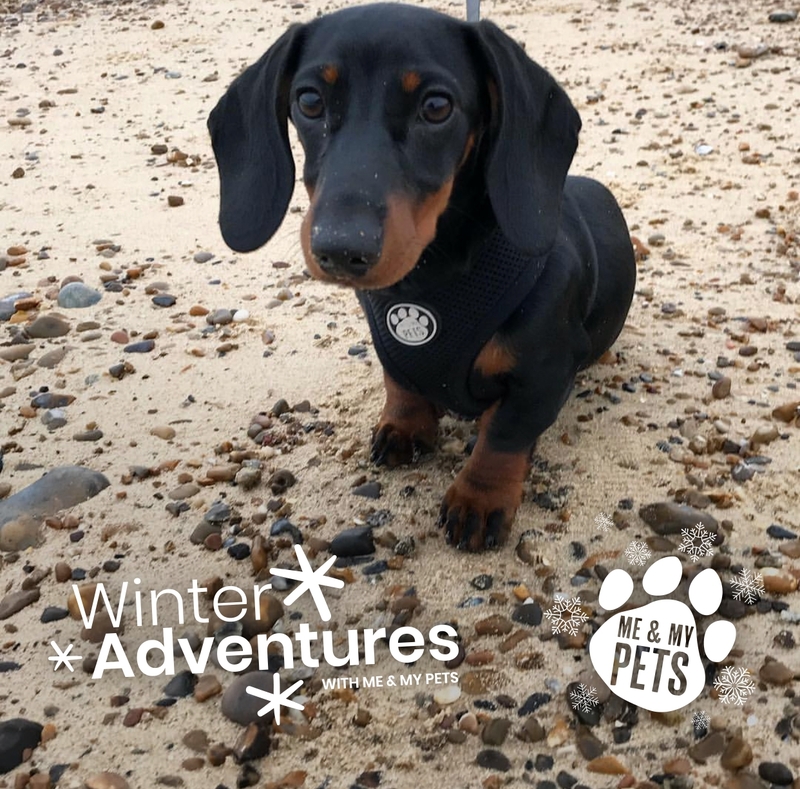 Remember to stay safe and warm this winter, and don’t forget to look out for more tips and ideas for looking after your pets on our Instagram and Facebook pages @meandmypetsofficial. Easter Dangers For Cats And Dogs: Are You Keeping Them Safe?